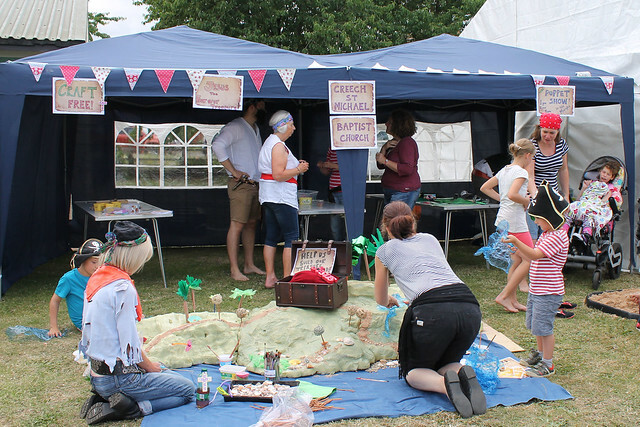 We are currently seeking help to fund our 2016 event – can your business help? 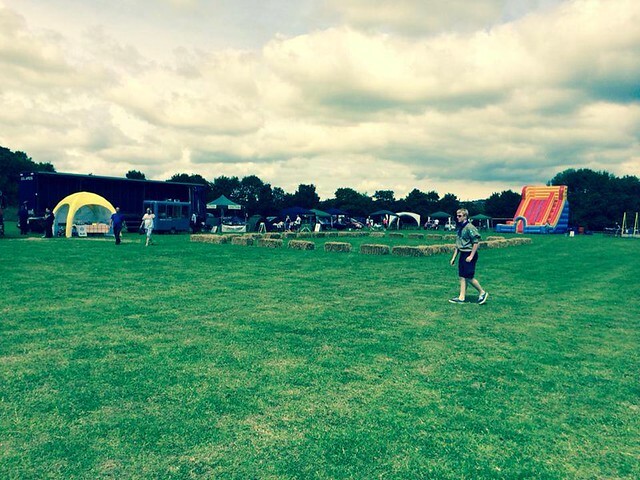 Please contact us at info@creechpartyinthepark.com. WJ have given us a whopping £500 to spend! Thank you! IDN Education, a Creech based business, have given us an amazing £300 to spend on the fab science workshops this year. Thank you! 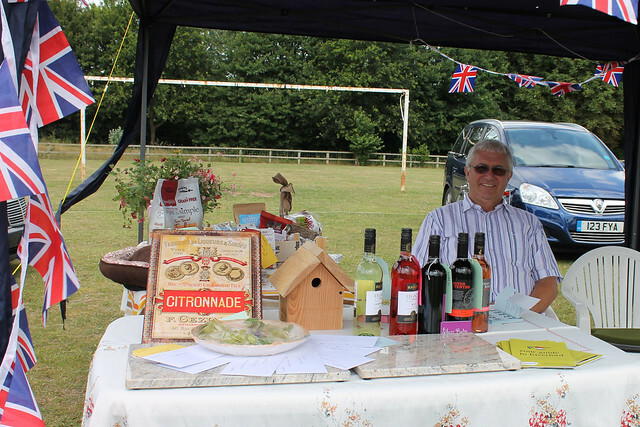 Redrow Homes, who are building homes near Creech, have kindly donated £150 towards our event. Thank you! County Granite and Marble, another Creech based business, have supported us every year, and gave us £100 towards the event this year. 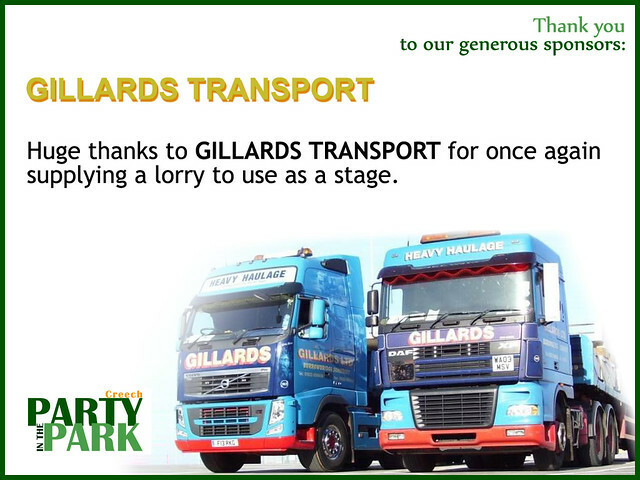 Gillards Transport are once again providing a lorry to use as the stage. This has made a massive difference to the success of the event since 2014 as there is plenty of space to see the band and room to dance! David House of Tetton Farm is again loaning us some straw bales, which is perfect for the seating area around the demonstration area. 3D Security are providing their professional security services at a discounted rate. RDV Film have produced a PIP 2015 promotional video from our 2015 photos and will be at the event this year taking video footage to create another. David Fothergill is once again being our compere for the day. Jim Pike is kindly providing us with his electrical expertise free of charge. 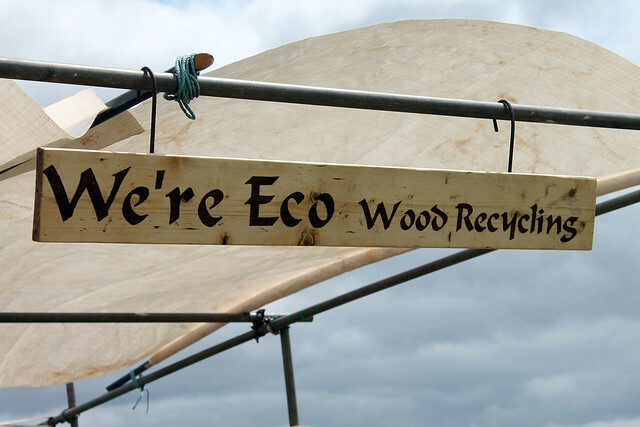 We’re Eco are again providing us with a free stage for our DJ in the marquee. A & G Mascots have kindly given us a discount on the price of their Minions. Brandon’s Hire have given us a discount on all the essential electrical equipment – thank you! 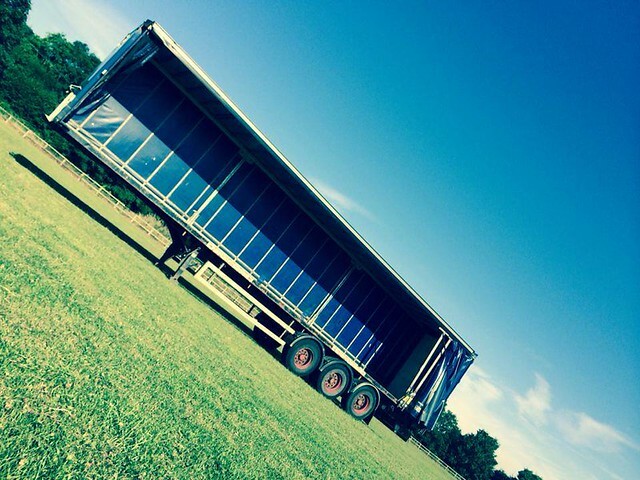 Falcon Hire have given us a massive discount on a refrigerated van which will be invaluable in keeping the booze cool! Huge thankyou. We really appreciate the support – thank you! Winter/summer vehicle check – Ian Selwood of L & R Autosolutions.